Volcan Concepcion is one of two volcanoes that form the island of Ometepe in Lake Nicaragua. This photo shows you a view from Concepcion’s sister volcano, Maderas. Here you can see a majority of the island of Ometepe as well as Lake Nicaragua on each side of the island. 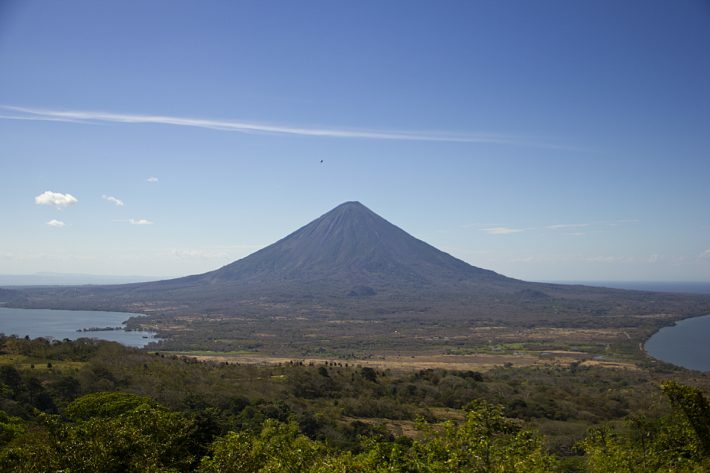 Ometepe is an absolutely beautiful place with both an active and dormant volcano, provided the dry desert like ground on Concepcion, and the lush rain forest habitat of Maderas. The combination of these two types of beauty is what makes Ometepe a consistent name read in articles about the most beautiful islands in the world.